Attracting, hiring, developing and retaining the right people has always been a crucial part of any organisation’s success. The methods of doing so successfully, however, are evolving fast. With growing skills gaps, uncertain trading conditions and rapid changes in technology driving new preferences and expectations in consumer behaviour, businesses need agile, curious and committed workforces. Our current and future employees have expectations of a more seamless and immersive experience when they apply for a role or join a new business. They also now have more choices over where they work and how they work, and look for companies that will offer them the opportunity to grow, develop and reach their potential. For the HR profession the technological developments, behavioural changes and shifts in expectations and preferences that are impacting how businesses operate and grow, present unique challenges. The workplace analysts who believe that all processes should be redesigned to accommodate and attract Millennials have a powerful voice in both the digital business media and at industry conferences, yet the HR team that looks around their companies will see a more varied mix of people and interests to be catered for. Workforces are embracing similar influences, but at a different pace and in a variety of ways. Not all employees want company-issued technology that requires them to check e-mails 24/7, or to have a constant digital presence. The modern HR team has to cater for all expectations and preferences, in a way that is both diverse and inclusive, and enables all employees to deliver their best work. 92% of workers say that technology affects their satisfaction at work, yet HR are not always part of the conversations around the digitisation process. That has to change fast. The ubiquity and speed of digitisation does however drive a need for approaches that are more relevant to how employees live, and this means recognising the importance of experience and regular communication; creating work experiences that reflect their aspirations. The Employee Experience is now a competitive advantage, so HR teams need to balance the needs of the business today with potential changes in the future, helping to create an environment and culture in which people want to work and feel empowered and supported to give their best. To meet the challenges posed, and make the most of opportunities created, every business needs to find and hire the talent that is right for them. That is, people with a spirit of curiosity and flexibility, who possess the skills, attitude, capabilities and potential to help organisations grow and evolve. 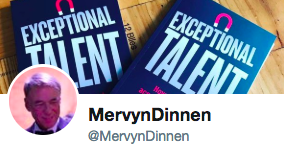 The word ‘talent’ is a much overused and misused word in the modern labour market normally implying a high skilled, high potential candidate who is in some way special. That definition needs to change. It drives poor recruitment practice, with hiring businesses trying to chase a candidate who ticks many boxes and appears ready made for their vacancy. These matches rarely exist, nor are the likely to be successful. In a world where new jobs often require skills that have not been hired before, that definition also fails to take into account the many ways that employees can develop and use their initiative and capabilities to help companies meet business challenges. Most successful specialist hires step in to a role that will stretch them and help them grow and realise potential. Everyone has talent. 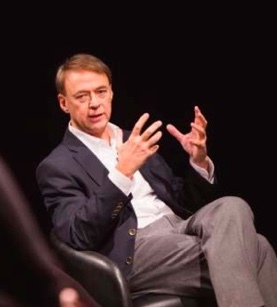 It is finding the people right for the business and the role, irrespective of background and work trajectory, that organisations need to focus on. Recruitment is not a one-way street and the dynamic has shifted. Candidates can tell a lot about a business from the way they go about recruiting, so a gladiatorial process full of challenges and hurdles, is unlikely to engage them, unless it accurately reflects the type of business you are and the culture they can expect when they join. Historically there was little that job applicants could find out about what life was actually like inside the business they were applying to work for. It wasn’t until the first few days in the job that they really got a feel for culture and structure. This has changed. The company is now selling itself to the candidate they want to hire as much as the candidate is to them. The way in which we attract, hire, develop and retain people, the HR processes and interventions along the way, will be a defining factor in how businesses succeed. The outcome is as important to individuals as the process that delivers it, while social and digital channels, powered by the constant presence of mobile, provide a real-time commentary on both the process and perception of the outcome. They want to be encouraged and treated fairly. And they want to be themselves at work. It is the journey by which they are found, selected, oriented and developed, which needs to be reimagined for the workforce of today and tomorrow. There is now also a transparency around current thinking and best practices, and reporting of the various attempts that businesses make to introduce new working arrangements and structures that can help shed light on how others are facing similar challenges. HR professionals can embrace clear and fresh thinking, and learn from industry peers and colleagues. Ultimately, this transparency means that workers in every company have access to what other businesses are doing. If they like what they see elsewhere, the chances are they’ll expect it where they are; or else may go out and find it for themselves. Effectiveness of the employee experience is both a business’ competitive advantage, and also the yardstick by which HR teams will be judged. 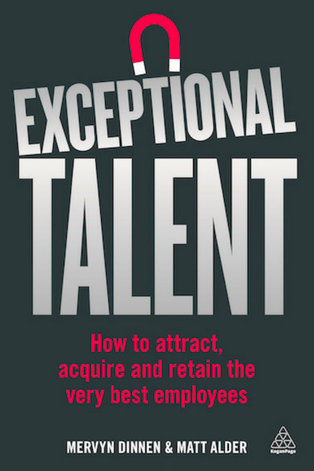 My co-authored book Exceptional Talent has been published by Kogan Page. In the book myself and Matt Alder explore how changes in technology, communication, and employee preferences are impacting the talent journey, offering practical advice on how to build effective recruitment and talent management strategies to meet the needs of today, while also helping businesses plan and prepare for the challenges of the future. ← Are You Listening to Your Employees?